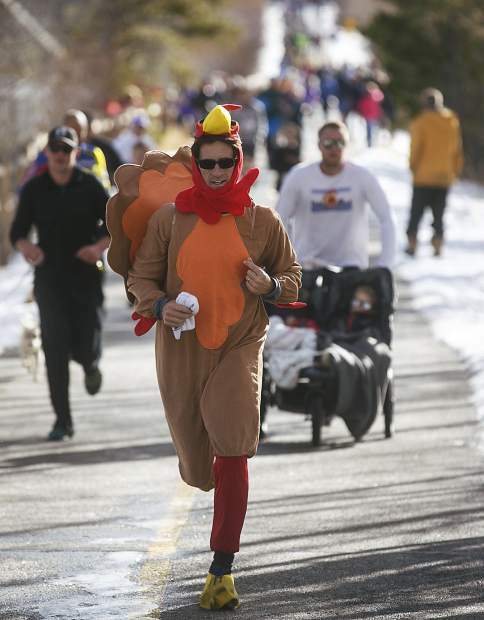 A runner in costume participates in the 5th Annual Turkey Day 5k Thursday, Nov. 23, in Frisco. 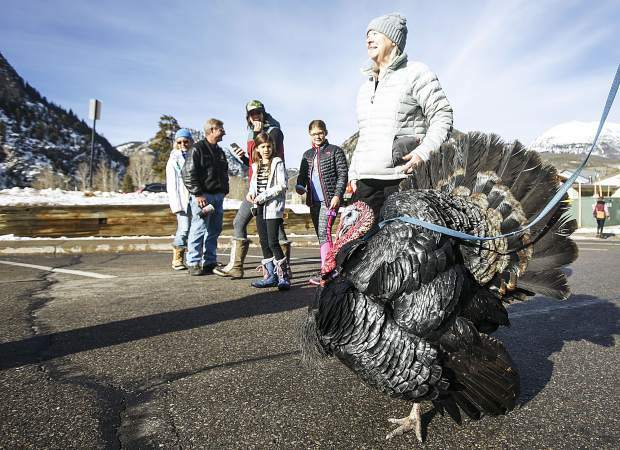 Christmas, a turkey owned by George Altz, walks around the starting line of the 5th Annual Turkey Day 5k fun run Thursday, Nov. 23, in Frisco. 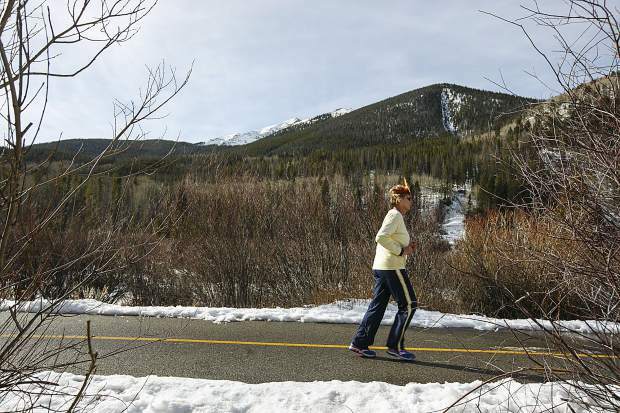 Runners participate in the 5th Annual Turkey Day 5k on the Recreational Path in Frisco Thursday, Nov. 23. 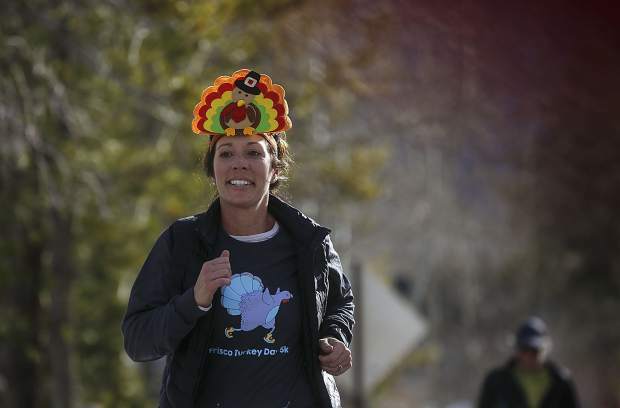 Participants take off for the 5th Annual Turkey Day 5k fun run in Frisco Thursday, Nov. 23. 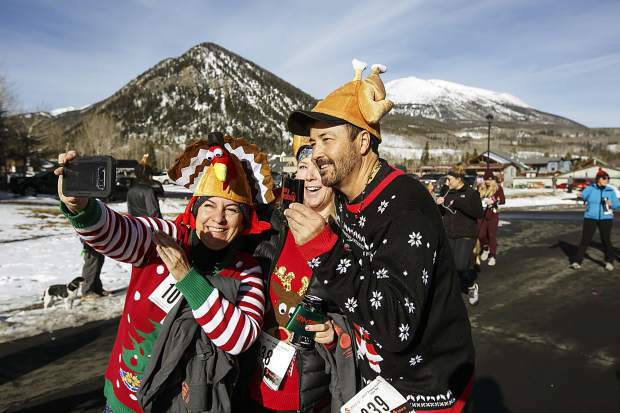 Participants take a photo ahead of the 5th Annual Turkey Day 5k fun run in Frisco Thursday, Nov. 23. 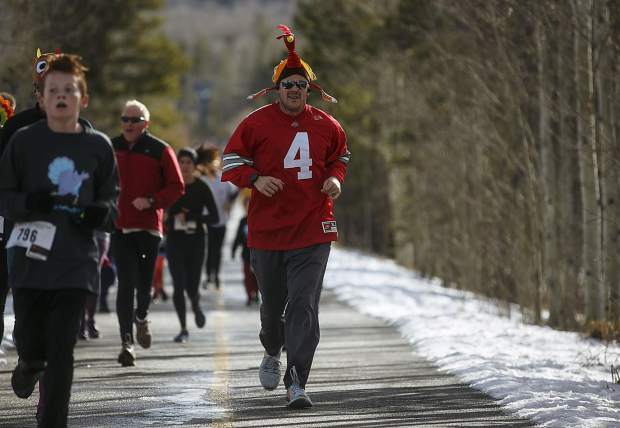 A runner participates in the 5th Annual Turkey Day 5k Thursday, Nov. 23, on the recreational path in Frisco. 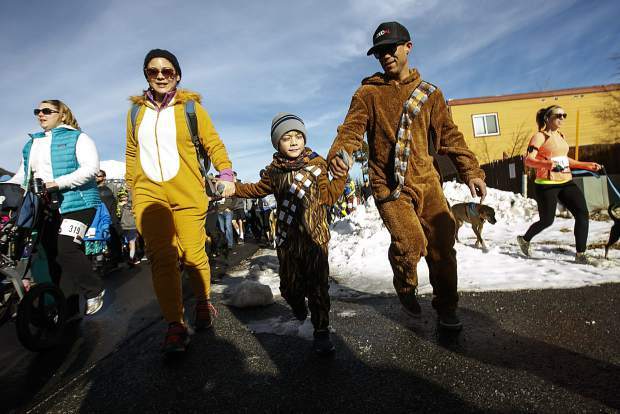 Hundreds of people decked out in holiday spirit, several dogs-dressed as turkeys — and even a leashed turkey named Christmas — took to the streets of Frisco Thursday morning for the annual Frisco Turkey Day 5K. 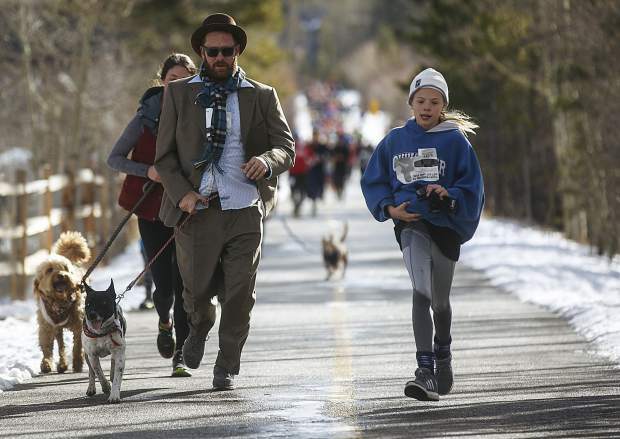 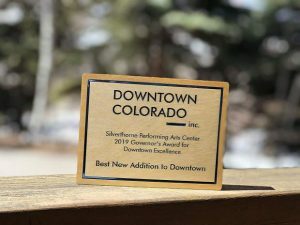 Hours before they’d feast on Thanksgiving dinner, those who ran the course along the Summit County Recreation Path and Frisco side streets showcased their creativity via their costumes. 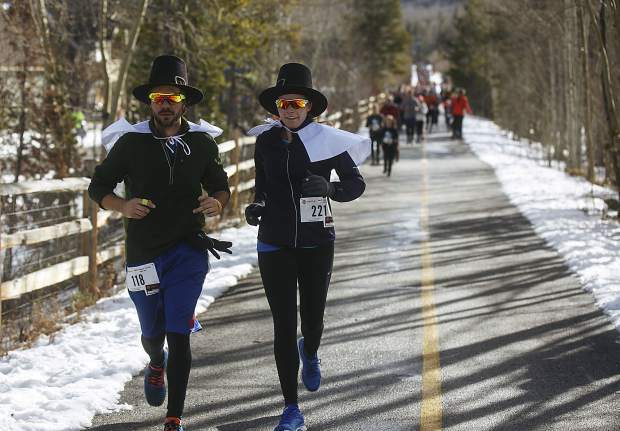 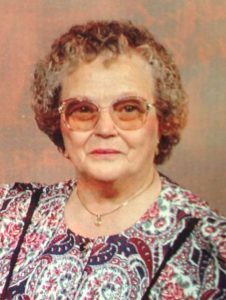 Getups ranged from the more obligatory turkey and turkey leg hats, to buckled hat-wearing pilgrims to a dachshund dressed up as a hunter — toy rifle and all.